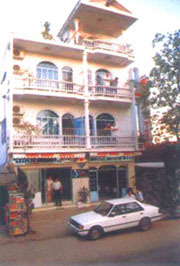 Binhminh hotel is close to city center with easy access to the major tourist sites of Hue. Thua Thien Hue is located in the northern part of Central Vietnam. Twenty-four ethnic groups share this province; more than 96% of the population consists of the Kinh ethnic group. Other groups include the Ta Oi, Co Tu, and Bru-Van Kieu. The tropical monsoon climate has no distinct cold and dry season. The province benefits from approximately 2,000 hours of sunlight every year. However, this province is also the victim of numerous typhoons, mostly in September and October. This province has a high potential for tourism. Famous sites include Lang Co Beach, Hai Van Pass, Tam Giang Dyke, as well as several temples and pagodas, especially in Hue. Third Class: standard rooms in 15m2. Second Class: larger rooms with balcony in 22m2.